The charming Chalet Furka enjoys superb access to the skiing with the Zugerbahn chairlift only 100 metres (approx.) away. The chalet is located opposite the domed church in the tranquil hamlet of Zug, on the road from Lech. It is only 50 metres (approx.) to the bus stop for regular free buses, taking 5 mins (approx. ), to reach the exclusive resort of Lech. The service currently runs until 3am (small charge in the evening) so that you can enjoy the atmosphere, tradition and sheer decadence of Lech town itself. The ski hire shop is 5 minutes (approx.) away, and it runs a pick up and delivery service for your convenience. Chalet Furka is ideal for couples and families looking to enjoy the ambience of an attractive traditional Austrian guesthouse in an idyllic location with superb access to the skiing. All rooms are tastefully decorated in a traditional Austrian style with en suite facilities and TVs. Many also have a balcony. As well as a sauna, there is a small beauty salon at the entrance of the chalet, perfect for some after-ski pampering! The comfortable and welcoming dining area has a balcony with great views across the valley. Rooms 6 & 8 have an extra bed for children (only) who do not eat with the main group. Chalet staff live in on the ground floor. The owner and his family live on the second floor and share the main entrance. The owner’s friendly mountain rescue dog also lives on site. My family and I went to Lech the week after Easter. I'd skied in St Anton before (same Alberg region) and loved it but Lech surpassed it. The resort is classy and stunning. It's a vast ski area and all very convenient. There's a brilliant, regular free bus service which means other resorts are easy to get to. The ski over to St Anton and back is great fun. Zurs was a fab ski are too - again easy to access. I was a little worried being 'out in the sticks' in Chalet Furka but not at all. It's only about a 5 minute free bus ride into Lech which went every 20 minutes. The bus could be spotted on the way down from the terminus from the chalet so it was easy to time it perfectly. There was also a ski lift metres from the chalet. The chalet was small but very well appointed with a lovely sauna. The owner, who lived in, was a super chap and very personable. Dinner was great with good food and wine with plenty of chat and banter. Apres ski seemed to revolve around champagne (Moey and Veuve!) but it wasn't that pricey. There was plenty of good beer too. Champagne in Lech was cheaper than beer in Courcheval 1850! I'll definitely be back. 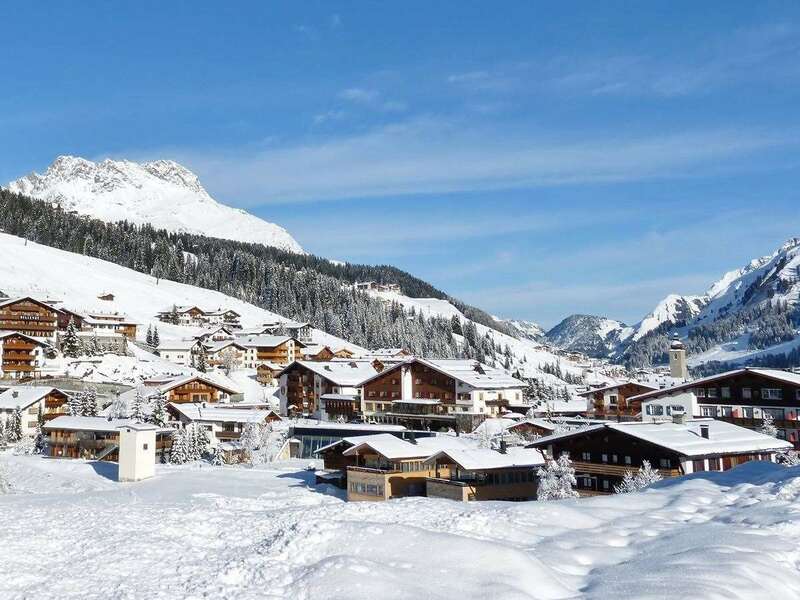 We found this a great location from which you can ski from the door to the nearest lift or get the bus every 20 mins to Lech from 20 metres away. Reasonable skiers can return to within 30 metres or the Chalet. There is a great bar at the top of the run down to the Chalet to enjoy before the last run of the day. Food was great as were the two hosts and the rooms were nice.